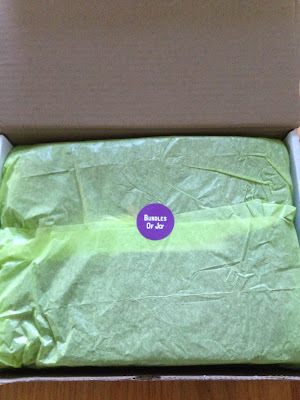 My daughter's Bundles of Joy box arrived last week. I'm always excited to see what she gets each month and I don't look at spoilers for this box, so it's always a surprise! This month's box was inspired by Fall, but still had some summer items. I'm not ready for Fall/Winter yet, so I'm still holding on to all the warm weather we've been having. 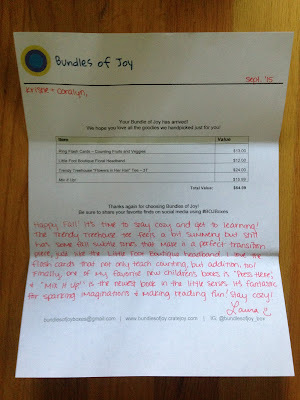 Bundles of Joy always includes a letter with the retail value of everything in the box and a hand written note with why everything was chosen. I say it every month, but I really love the customization of this box. 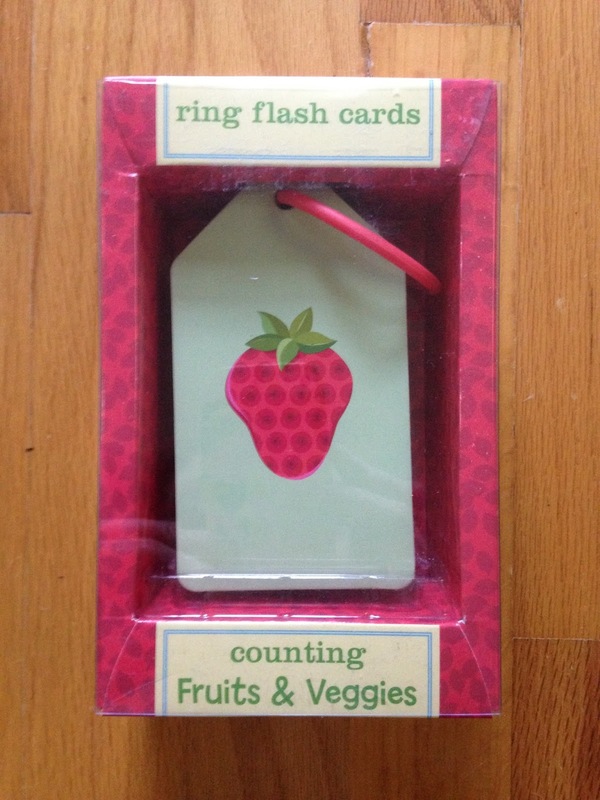 The first item we received was Ring Flash Cards-Counting Fruits and Vegetables. Retail Value $13. My daughter loved these and we need to work on her counting, so these are perfect. I love anything with fruits and veggies, so I thought this was adorable! 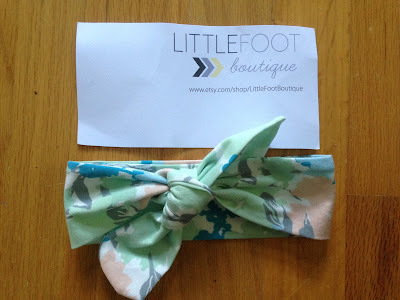 We also received Little Foot Boutique Floral Headband. Retail Price $12. This is so cute! 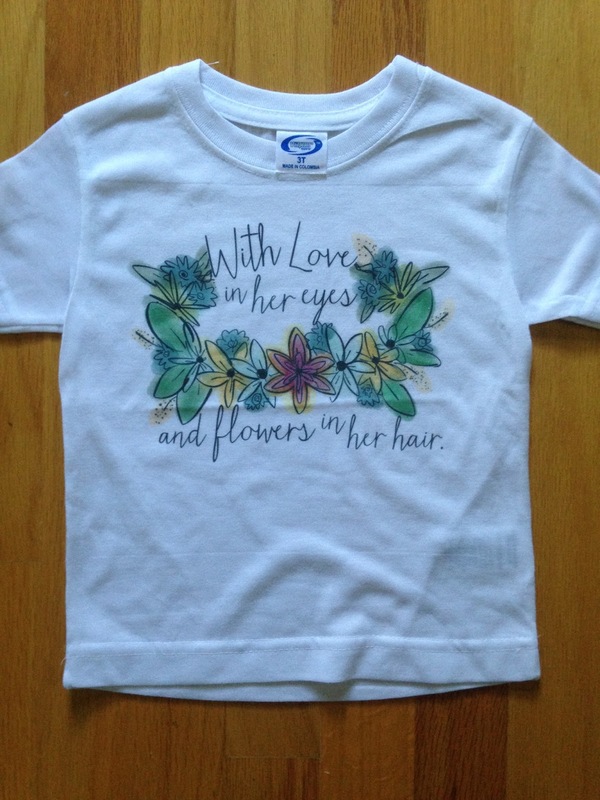 It looks great on my daughter. She was a fan of it right away!!! The Trendy Treehouse "Flowers in Her Hair" Tee is adorable! Retail Price $24. This is very soft and very nice. We will get as much wear out of this as we can while the weather is still nice, and then she can wear it under a cardigan through the Fall. The final item we received was my daughter's favorite! 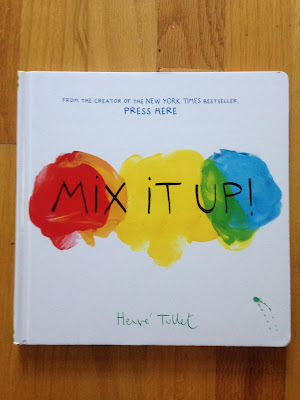 It was a "Mix It Up" book. Retail Price $15.99. This had her laughing like crazy. She loved mixing all the colors together and she made me read this over and over. We don't own "Press Here" yet, but I've seen it and thought of buying it. Now I think I'll have to pick it up for her. She really loved this! 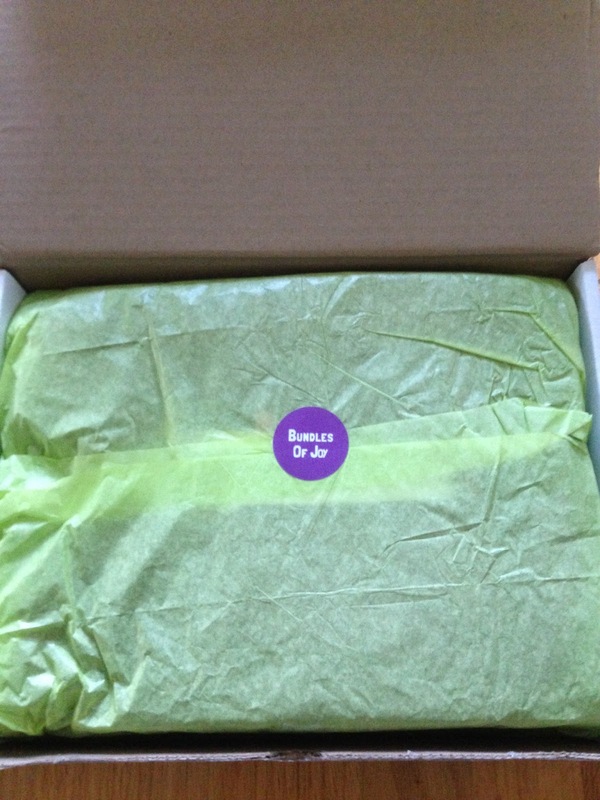 Bundles of Joy boxes are always great! My daughter loves everything month after month. And I love that we get different items we don't already have. I can't wait to see what we start getting as we head into Fall/Winter. This box never disappoints!